PRAYER PROMPT ••• Just as I prepared to write this morning’s Prayer Prompt, my son texted me a picture of his new car that he bought right before Christmas, but it was no longer in pristine condition. I immediately called him to learn he hit a deer on the way to work. But that’s the very definition of “unexpected,” isn’t it? There’s never a good or convenient time for those unexpected moments. We’re bringing this year to a close today, and there’s all kinds of hopeful anticipation for a good year in 2018, but guess what? 2018 is going to bring the unexpected too! It sometimes feels that way, but thankfully, they were wrong. We can expect to rest in the comfort of God’s peace when we need it. We can expect the guidance of the Holy Spirit when we pray for it. We can expect the security of our futures if we’ve given our lives to Christ. That doesn’t mean that unexpected moments aren’t an inconvenience. But as believers, our best way of dealing with the unexpected is to trust God. He allowed those moments for a greater purpose. We may learn why we may not. But we can trust that God knows what he’s doing. 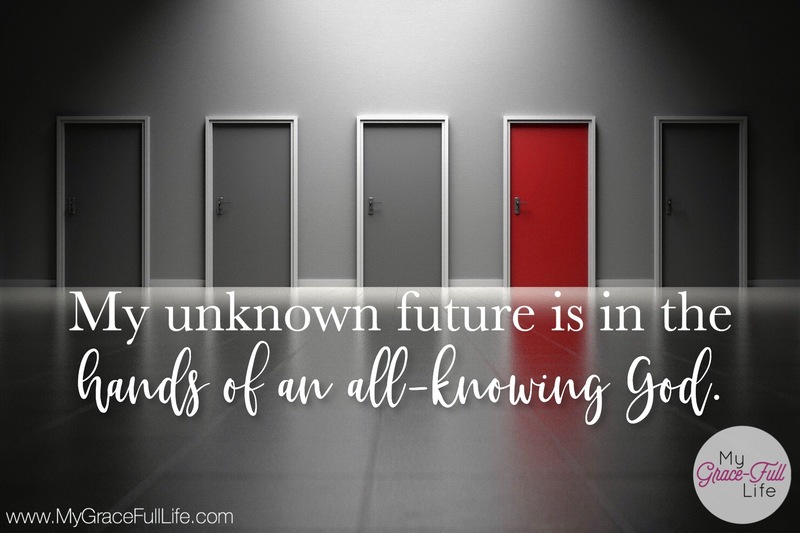 So as we close up this year, and walk into the unknown future of 2018, may we all be prepared for the unexpected by trusting that God’s got the whole thing already figured out. Today, as you pray, thank God that nothing is unexpected to Him. He knows everything that HAS happened and everything that WILL happen. Thank Him for being trustworthy and seeing the big picture. Ask the Holy Spirit to help you trust, even in the unexpected moments. You too, Lynn! I pray God’s blessings rain down on you!! !